Let’s have a walk through the forest! This book follows the four seasons, starting in spring. Every season starts with a spread showing the same forest glade and describing how it changes during the year. Every month has two pages where several birds, mammals, insects and plants are described and explained. Additionally every page has a little column titled “We save the forest”. 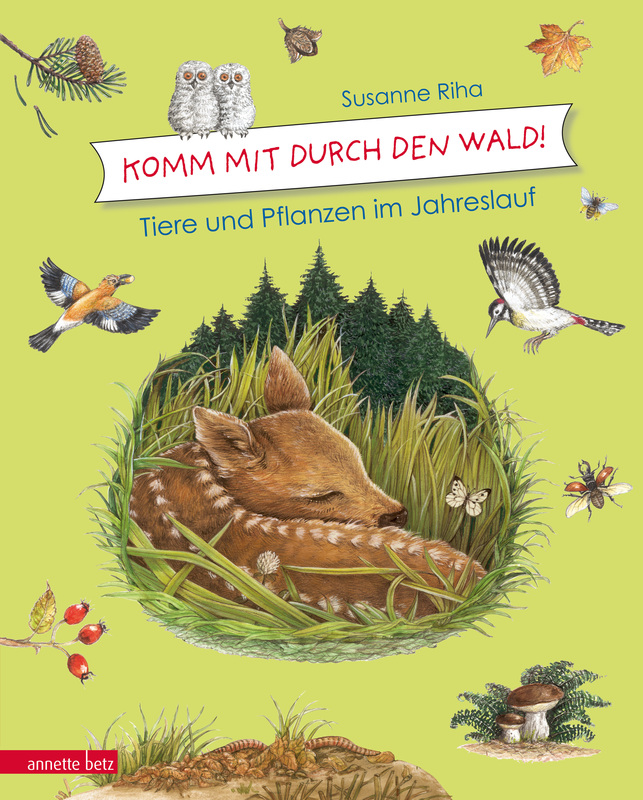 Schreibe die erste Bewertung für „Komm mit durch den Wald – Tiere und Pflanzen im Jahreslauf“ Click here to cancel reply.